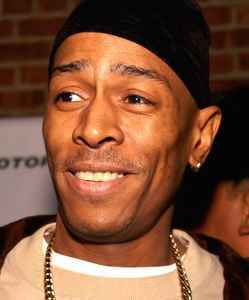 MC Shan got his big break in 1983 when the future boss of Cold Chillin' Records caught Shan trying to steal his car -although the fact that old-school superproducer Marley Marl was Shan's cousin probably didn't hurt either. Shan took advantage of the opportunity to become a member of Marl's Juice Crew All-Stars and after several singles (including the old-school classic "The Bridge"), his 1987 album debut 'Down by Law', produced by his cousin, Marley established MC Shan's B-boy persona. The same held for the 1988 follow-up album, 'Born to Be Wild'. For the 1990 release 'Play It Again, Shan', he opted for a more mature outlook and a new producer, this to date has proved to be his final album release. Shan has since moved into production work.